Cliff Simpson is the President of C&H Solutions. 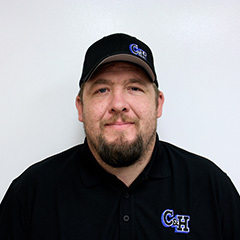 He started the company in 2008 with his experience as an ag Diesel mechanic, farmer and oil field mechanical operations manager. Cliff created C&H as a solution based company that offers turnkey packages for all customers. When he is not working, he enjoys spending time with his three children and wife. In the summer, Cliff enjoys farming with his dad, a family business that has been going for several generations, along with camping and boating with his wife, kids and friends. When the weather turns cold you can find him in the back mountains on his snowmobile.